Each city has its hours. In some chaos is present from the dawn, the others liven up in the evening or even at night. Everything depends on their location. 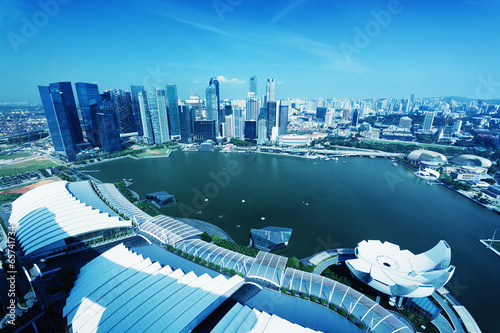 However, there’s no denying that Singapore has character... A photo wallpaper with panorama of Singapore will be your virtual journey around the city.